Our Company was founded on the backbone of our ability to offer comprehensive technical services, our Directors have all come from Technical backgrounds and this feeds through the Company from new equipment sales to all aspects of the equipment, from box to bench, commissioning, Validation, Calibration, maintenance, etc. We have over 100 years combined experience helping laboratories and this experience we offer to our customers through our ability to cover 99% of your laboratory equipment directly with our Total Laboratory management programs, or more tailored packages for individual technologies. Our ISO 9001:2008 ensures quality management systems are in place delivering consistent and accurate results on KPIs, such as meeting breakdown response times (>90%) and achieving our first time repairs (>95%). Our goal is to provide solutions with technical support, service and validation of all scientific instrumentation used in your laboratory. 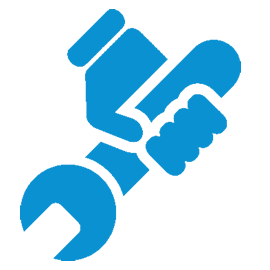 We Offer Planned Maintenance on a wide range of equipment. We have a comprehensive library of workbooks which are tailored for specific equipment, and we perform the supplier recommended routines along with appropriate additional tests. These are documented either on our workbooks, or detailed service reports. Is offered on a wide range of equipment all calibrations are meticulously recorded in our controlled Test Certificates and all carried out using equipment traceable to national standards. Our engineers are technically competent across a wide range of technologies. With a broad geographic spread of engineers, we can assure our customers of prompt response. Log a Call and we will respond without delay. With our broad technical expertise we are happy to quote validations on different types of equipment upon request. We offer tailored documentation on our products and work with you to ensure the tests that are important to you are covered in our FVD procedures.